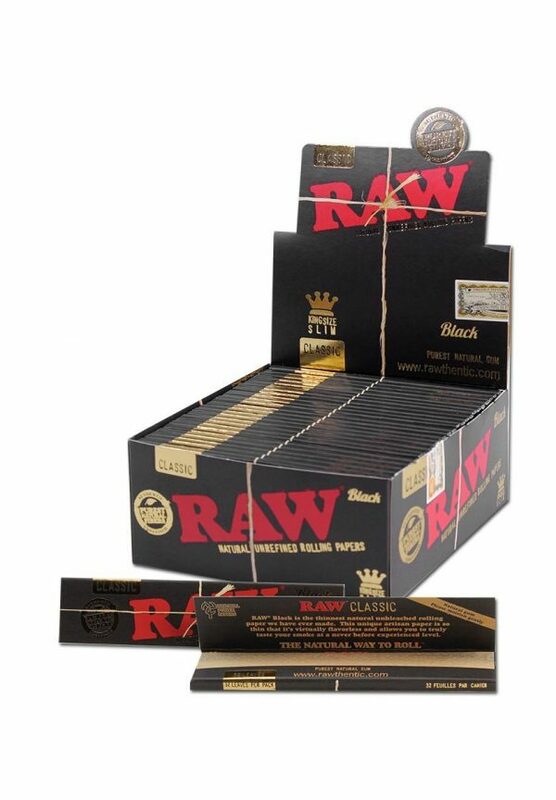 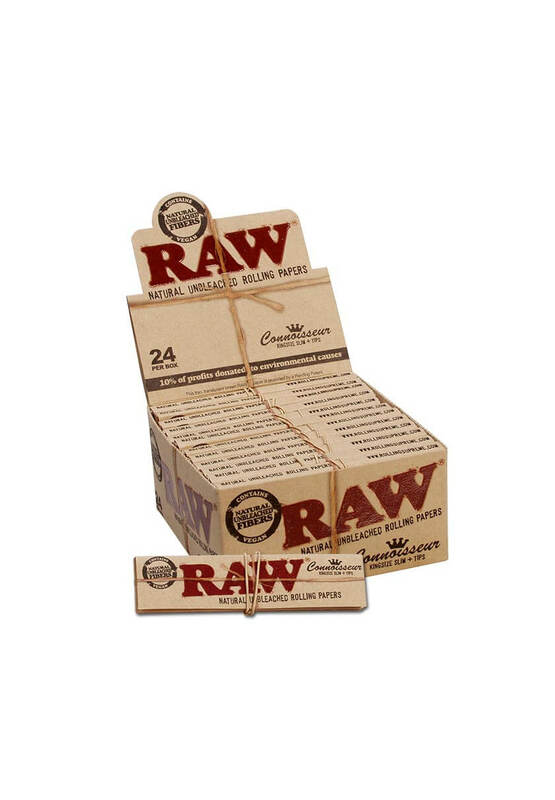 RAW ‘Connoisseur’ Rolling Paper King Size Slim with filter tips and rubber band for closing at every booklet. 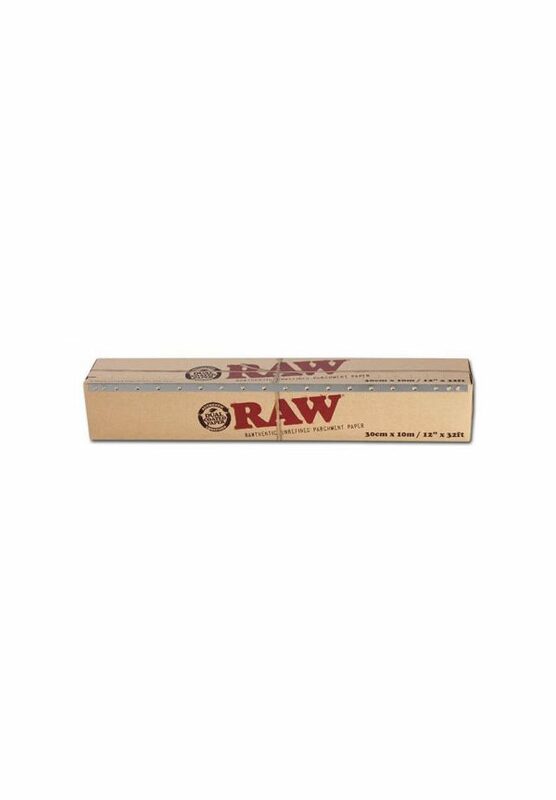 The vegan product is made of natural, unbleached fibers. 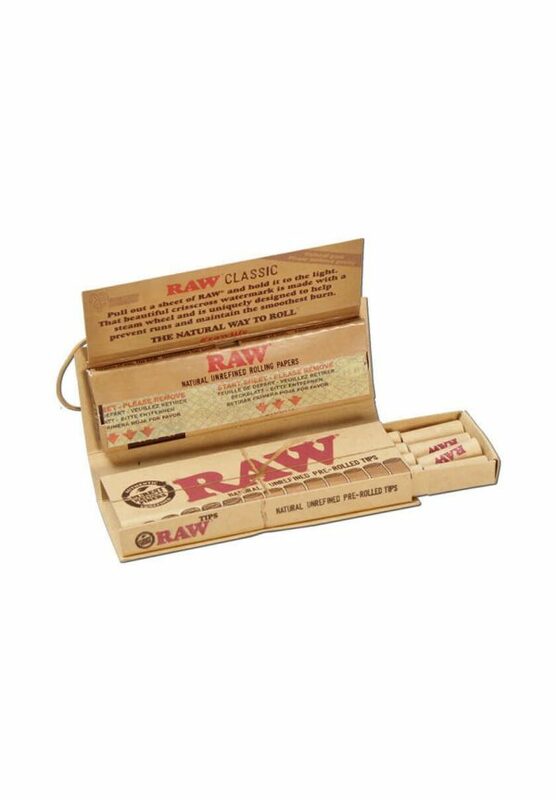 The display box comes with 24 booklets and 32 papers.